Under various names – education and conflict, education and fragility, education and insecurity, etc – the understanding of linkages between education and violent conflict has emerged as an important and pressing area of inquiry. Work and research by practitioners and scholars has clearly pointed to the negative potential of education to contribute to and entrench violent conflict. This work has highlighted the struggle for education during and following periods of instability and demonstrated the degree to which communities affected by conflict prioritize educational opportunities. It has also offered powerful normative arguments for the importance of quality education for peacebuilding, reconciliation, postconflict reconstruction and development. In many instances, however, these important insights are derived less from rigorous research and scholarship in the social sciences than from the delivery and evaluation of educational programming in situations affected by conflict. 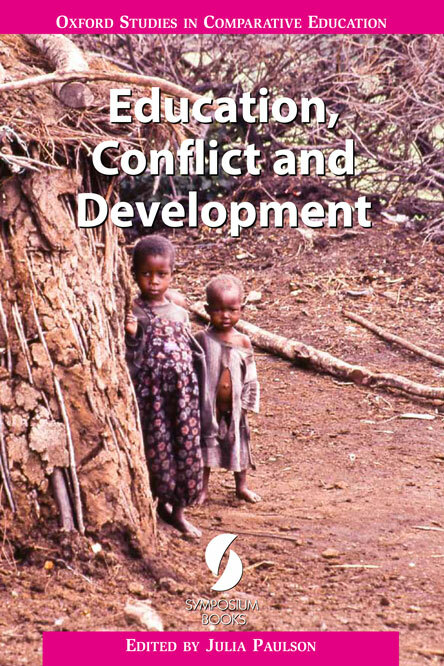 This volume, therefore, seeks to broaden enquiry into education and conflict by exploring, through conceptual and empirical work, its linkages to broader theories and practices of development and peacebuilding. The volume begins with a conceptual and theoretical section, followed by a series of international case studies, before closing with three chapters focused on the case of Northern Uganda. Contributors present a diverse set of studies that together deepen understandings of the ways the education functions in various situations affected by conflict and the ways in which it might best be mobilized to contribute towards peacebuilding and development. In recent years education in emergencies has become ‘a key priority for the international community’ (United Nations General Assembly, 2010). From the early advocacy of those who saw first hand the lack of adequate educational services available to communities displaced by armed conflict (Sommers, 1999; Crisp et al, 2001; Sinclair, 2001, 2002), to the effective work of the Inter-Agency Network for Education in Emergencies (INEE), who have, among other things, created minimum standards for education preparedness, response and recovery (2010), to the commitment of major international donors and organizations, the need for quality education in and after disasters and violent conflict is well recognized. With approximately half of the world’s out-of-school children living in countries affected by conflict, the reasons for this growing international priority are clear (Save the Children, 2008). This volume aims to investigate the changing contours of international work around this clearly acknowledged need. The book centres upon the investigation of three processes – education, conflict and development – and the relationships between them. Some of these relationships have been well established, while others are under-researched and little understood. The interactions of the three together, the ways in which conflict might confuse connections between education and development, for instance, are still largely unclear. This chapter considers the relationship between education and conflict in a wider context than has become customary in the contemporary literature on ‘education in emergencies’. It does so in both geographical and historical terms with the aim of showing that the relationship is a fundamental one operating at many levels and scales. After a definition of terms, conflict within education is considered through such contexts as policy making and decisions about medium of instruction. These can have both intended and unforeseen outcomes, ranging from deliberate acts of aggression, oppression and neglect to naive miscalculation of the implications of decisions. The role of organised religion in the formation and operation of education systems is considered and is an element of both political and cultural dimensions. Education within conflict is then discussed in dimensions ranging from the local, such as in Northern Ireland, to civil war to global conflict. Finally, education is considered in relation to socio-cultural conflict, environmental conflict and violent conflict, though in reality these are often intertwined. ‘Fragile states’ is one of the latest buzz-phrases to emerge within the aid sphere, and is thus of increasing importance to those working with education, conflict and development today. Whether positive or negative, buzzphrases and buzzwords play a central role in aid policy because they help frame solutions to problems by suggesting that problems can be clearly defined and categorised, and thus tackled in a systematic manner. This chapter presents preliminary findings from a larger study, which aims to examine how the terms ‘fragile states’ and ‘fragility’ are defined, conceptualised and used by education aid professionals at the global policy level. The chapter critically analyses the policy of a small but influential group of international individuals from different organisations involved in shaping global policy related to education and fragility: the Inter-Agency Network for Education in Emergencies (INEE) Working Group on Education and Fragility. By focusing on how and why certain words are used within the aid realm, and investigating the emergence and current usage of these terms, the author aims to encourage self-reflexivity among aid practitioners, and to contribute to a clear, shared and useful understanding of the concept(s) these terms are meant to denote. This chapter argues that the persistent uncertainty about causes and catalysts of both conflict and development creates major fault lines within the research and practitioner community, not merely vis-à-vis Nepal, but the world over. More specifically, it suggests that the immense complexity that inheres in the conflict–development–education nexus has been collapsed into five dominant lines of thought as the opacity of causal relationships comes to be replaced with presumptions about progress. In critically unpacking and explicating each of these five strands it holds that these different presumptions, in turn, lead to divergent prescriptions for fostering peace, educational and otherwise. Built out of a meta-analysis of the flood of recent research on the conflict in Nepal and illustrated with several rich examples of the divergent ways that the rise of the Maoist ‘insurgency’ has been analysed, the chapter works to provide theoretical and conceptual clarity to the field, but in doing so necessarily challenges some of our most basic assumptions about the relationship between education, conflict and development. After conflict, social structures are often completely or partially destroyed; post-conflict reconstruction is the process of rebuilding those systems. This path may be influenced by a combination of factors that are contextually internal or external, including armed parties to conflict, neighbouring countries and international organizations. In this process, international norms may also shape the interaction and interests of actors. Conceptual examples of such ideational influences may include democracy or human rights. If reconstruction is affected by these international norms, then it is important to understand the different ways that individuals may learn about democracy and human rights in and after conflict. This chapter explores sources of learning about these ideas in the post-conflict context of Sudan. Using a combination of qualitative and quantitative research conducted in southern Sudan, this chapter explores how the ideas of democracy and human rights may be passed on through formal, non-formal and informal education. The findings suggest that a better understanding of these sources of learning could shape democracy-building efforts in southern Sudan, with the dynamic role of international non-governmental organizations in this process emerging as a critical topic for future research. Expectations and Realities of Education in Post-conflict Sierra Leone: a reflection of society or a driver for peacebuilding? Education is increasingly seen as a key tool for peacebuilding efforts in the post-conflict context. However, to what extent are such expectations for education being met in reality? A more fundamental question is whether education can bear such expectations. This chapter looks into the role of education in Sierra Leone in the pursuit of these questions. The approach focuses on examining adolescents’ experiences and perceptions of education – including adolescents who are presently in formal schooling, who are in vocational training centres, and who are out of school– utilising interviews and participatory task-based methods. These young people are central to understanding the relationship of education to society and the state, a relationship that is suggested to have played into underlying fragility and, as a result, into the decade-long civil war. This chapter suggests that the role of education in Sierra Leone has not been reformed fundamentally in society since the conflict. The chapter problematizes approaches that understand education as an independent institution; it instead calls for a more contextualised approach that situates education in the socioeconomic reality of society. In the last several decades, a number of studies have discussed the role of common history textbooks between the former adversaries in Europe as a symbolic tool to facilitate the process of historical reconciliation and to develop a common European identity. However, it is not well known that China, South Korea and Japan, too, have begun to work towards historical reconciliation through the establishment of joint history commissions or working groups at both official and non-official levels over the last decade. This chapter examines the history textbook jointly developed by Chinese, South Korean and Japanese scholars, educators and civil society members, called History [that] Opens to the Future: the contemporary and modern history of the three nations in East Asia (2005, 2006). This study critically engages with the presence of persistent nationalism in this trilateral history textbook, and yet argues that East Asia’s joint history textbook indicates that the practice of remembrance through historical dialogue can act as a communicative force through which responsibility for the past becomes a democratic and ethical relationship with Others in the present time. The chapter also discusses the concept of ‘intergenerational responsibility’ for the past and raises the question of what kind of historical consciousness is required to assume responsibility for the past. Despite considerable research on barriers to girls’ participation in education, little is understood about the experiences of female survivors of sexual violence as they interact with the school system. Using data from a 2007-2008 longitudinal qualitative data set, the barriers to school enrolment were explored for survivors of sexual violence as well as other conflict-affected girls in Lira District, Northern Uganda. The results of the analysis suggest that all girls, regardless of their status as sexual violence survivors, face similar barriers to accessing education that need to be addressed in a holistic and comprehensive manner. Financial constraints, the quality of schools, and cultural barriers that do not prioritize girls’ education, as well as the prevalence of early marriage and pregnancy, were common experiences for all girls enrolled in the study. Additionally, girls faced self-doubt and a lack of self-efficacy about their ability to achieve in school, which was compounded by bullying from peers and stigma from the community. For survivors of sexual violence these barriers were strengthened by virtue of their ‘doubly disadvantaged’ status. Additional support and targeted interventions are needed to empower this particularly vulnerable group to overcome the barriers impeding school enrolment. Worldwide education has been heralded as one of the ways of instilling values such as respect for differences, mutual tolerance in post-conflict situations and peaceful coexistence. Hence both governments and nongovernmental organizations have focused on the promotion of education as part of peacebuilding efforts. Yet, long-running conflicts and wars affect schools and classroom experiences in ways that have not yet been fully understood. Using data from an ongoing research project, this chapter explores how experiences of conflict continue to affect teachers and young people’s relations and possibilities in the classroom. This chapter shows that increased aggressiveness, indiscipline and low academic ambition among learners, and low morale and motivation among teachers are common characteristics of post-war teaching and learning. The main lesson from this chapter is that war-related experiences continue to affect teachers and learners and to influence classroom dynamics in particular ways; these affect the possibilities for education to contribute towards peacebuilding and call for interventions that address teachers’ and learners’ post-conflict needs. The impact of armed conflict on education is devastating. Although education may be a cause of armed conflict, it can play an important role in recovery and peacebuilding. What are the attributes of good-quality peacebuilding education? Although infrastructure, funding and access are vital elements, so is the nature of school practice. A framework is proposed for understanding peacebuilding education, based on a synthesis of knowledge, values and actions for skills. Schools in a district of Northern Uganda are examined for their contribution to peacebuilding education, using empirical evidence from young people in seven schools, as well as observation, documentary study and interviews with teachers and officials. The formal curriculum, extra-curricular activities and school culture are the contexts investigated. The findings are that knowledge important for peacebuilding, such as human rights, is being taught largely by non-governmental organizations and with little support from the curriculum. Values of forgiveness and fairness are fairly well developed, but that of equal dignity appears much weaker. Some students are building skills through participation in authority structures, and some experience of problem solving and sensitization. However, the lack of democratic participation and the failure of some teachers to adhere to the code of conduct reduce the potential of school culture to contribute to peace. Suggestions are made for improvements. Alastair Ager, PhD, is Professor of Clinical Population and Family Health in the Mailman School of Public Health, Columbia University, New York, USA. He has worked in the field of global health and development for over twenty years, after originally training in psychology at the universities of Keele, Wales and Birmingham in the United Kingdom. He was head of the Department of Psychology at the University of Malawi from 1989 until 1992, and subsequently served as Foundation Director of the Institute of International Health and Development at Queen Margaret University College, Edinburgh. Immediately before joining Columbia he was Senior Research Manager for the UK Department for International Development. He has wide international experience as a lecturer, researcher and consultant across sub-Saharan Africa, South Asia, Europe and North America, working with a range of intergovernmental, non-governmental and governmental agencies. In 2009 he was appointed as Executive Director of the Global Health Initiative based at the Mailman School of Public Health. He is author of over one hundred scholarly publications. He served as Research Director of the Care and Protection of Children in Crisis initiative through which the research reported in this volume was conducted. Stephanie E.L. Bengtsson is a doctoral candidate in International Educational Development at Teachers College, Columbia University, New York, USA. Her research interests include inclusive education, humanitarian aid and development, the relationship between global and local forces in educational settings, and educational policy discourse within the field of development. She has worked as an education consultant and researcher for UNICEF and the Inter-Agency Network for Education in Emergencies (INEE). She has also served as the coordinator of the Center for African Education at Teachers College. She holds an AB in English Literature from Harvard University, and an MPhil in International Perspectives on Special and Inclusive Education from the University of Cambridge, United Kingdom. Neil Boothby, EdD, is the Allan Rosenfield Professor of Clinical Forced Migration and Health at Columbia University’s Mailman School of Public Health, New York, USA. His research has focused on the effects of armed conflict and violence on children in Cambodia (1980-82), Mozambique (1988-2005), Guatemala (1983-86), former Yugoslavia (1992-93), Rwanda (1994-96), Darfur (2005-present), Palestine (2001-present), Sri Lanka, (2002-present), and Indonesia (1999-present). Boothby is also Director of the Program on Forced Migration and Health at the Mailman School of Public Health, and is the Principal Investigator of several research projects. One of these projects – the Care and Protection of Children (CPC) Interagency Learning Network – is a constellation of more than 75 agencies working worldwide on the development of an evidence base for efficacious child protection programming in war, disaster and post-crises settings. Boothby has published extensive on children and war concerns, and also has received a number of awards for his fieldwork, including the Red Cross Humanitarian of the Year Award and the UN’s Global Achievement Award for Excellence in the Social Sector. Colin Brock is UNESCO Chair in Education as a Humanitarian Response and Senior Research Fellow at the Department of Education, University of Oxford, United Kingdom. A graduate in geography and anthropology, he taught in high schools for 10 years before becoming a lecturer in geography at the University of Reading. An unexpected secondment to the Overseas Development Agency (now the Department for International Development) found him as Education Adviser in the Caribbean Development Division of the Foreign and Commonwealth Office. On his return to the United Kingdom he moved into the world of international educational development through appointments at the universities of Leeds, Hull and Oxford. He has been fortunate to work in most major areas of the developing world for multilateral and bilateral agencies and has published widely in this field. Jeremy Cunningham is a former UK state secondary school head teacher, and a doctoral student at the Open University. His practical experience in the development of citizenship education and student participation, and the establishment of school links with African schools, led to an awareness of the huge challenges facing African students, teachers and heads in the aftermath of violent conflict. He has published chapters on democracy in school, developed curriculum materials for Amnesty International, and is a former editor of the World Studies Journal. Betty Akullu Ezati is a lecturer in the Department of Educational Foundations and Management, School of Education, Makerere University, Uganda. She teaches history of education, research methodology and gender and education. She holds a Higher Diploma in educational policy analysis from the University of Alberta, Canada, a Master of Education focusing on teacher education and a PhD focusing on gender and education from Makerere University. She also participated in a project that designed online courses to assist secondary school teachers in resources limited areas. She trains academic staff at the university level in pedagogy and andragogy skills. For the last three years she had spearheaded a collaborative research project on education in post-conflict areas with a focus on Northern Uganda. The collaboration with the partners (Queen’s University Belfast, Northern Ireland, Kigali Institute of Education, Rwanda, and Fourah Bay College, Sierra Leone) has enabled her to gain more insights into possible strategies teachers can adopt in post-conflict teaching and learning situations. Her research interest includes gender and education (education of minorities), indigenous knowledge education and conflict, teacher education and children’s rights and higher education. Mitsuko Matsumoto is a doctoral candidate at the Department of Education, University of Oxford, United Kingdom. Her doctoral project explores the relationship between education and conflict, based on an empirical case of Sierra Leone where she has conducted seven months of fieldwork. In addition, her research interest range to peace education and research capacity development in developing countries, in particular West and Central Africa, in which she has received Master’s degrees at the University of Oxford and Teachers College, Columbia University, New York, USA. She had previously worked for the UN Liaison Office of Soka Gakkai International (SGI), a Buddhist association that promotes peace, culture and education. Besides working with UN agencies, other organizations and individuals, she had led workshops, titled ‘Victory over Violence’, promoting values and behaviours based on the philosophy of non-violence to pupils at various schools in New York city. Maureen Murphy, MPH, is the Coordinator for the Care and Protection of Children in Crisis-Affected Countries Learning Network (CPC Learning Network) based at Columbia University’s Program on Forced Migration and Health in New York, USA. Previously she worked with the American Refugee Committee International as a member of their International Programs Team and, most recently, was the Head of Office for their Eastern Equatorial Office in Southern Sudan. Maureen has also worked with the Agency for Technical Cooperation and Development in Tajikistan and International Planned Parenthood’s East, Southeast Asia and Oceanic Regional Office in Kuala Lumpur, Malaysia. She holds a Master’s degree in Public Health from Columbia University and has a professional interest in improving monitoring and evaluation of humanitarian relief programmes, particularly in the realm of reproductive health and gender-based violence programming. Tomoe Otsuki is a PhD candidate at the Ontario Institute for Studies in Education of the University of Toronto, Canada. Her doctoral studies pursue how historical remembrance serves as pedagogical praxis for a more democratic society and future possibilities. Her research areas are the pedagogy of commemoration practices, of testimonies of the survivors of the atrocities, East Asia’s history textbooks controversy, and the politics of collective memory and national identity in East Asia. Otsuki’s doctoral dissertation traces the genealogy of the dominant discourse, ‘Hiroshima rages, Nagasaki prays’ and investigates how this atomic bomb discourse was produced and established through a process of exclusion of other voices, erasure of the remnant of the bomb, and the imposition of the act of praying upon the body of Nagasaki’s atomic bomb victims and citizens. Christine Pagen has engaged in the theories and practices of education and development in and after conflict through academic and practical work with organizations such as the Inter-Agency Network for Education in Emergencies, USAID, UNICEF, the United Nations Office for the Coordination of Humanitarian Affairs, and Search for Common Ground. Her field experience includes the countries of Afghanistan, Sudan, Kazakhstan, and Pakistan. Christine holds a PhD in Comparative International Education and Political Science from Columbia University, New York, USA and an MA in International Educational Development from Teachers College, Columbia University. Julia Paulson is a doctoral researcher at the University of Oxford and a part-time lecturer at Bath Spa University. Her research focuses on post-conflict educational policy making, transitional justice and reconciliation. She is editor of Education and Reconciliation: exploring conflict and post-conflict situations to be published by Continuum in 2011, and General Editor of the Oxford Transitional Justice Research Working Papers Series. Julia has worked as a consultant with the Inter-Agency Network for Education in Emergencies, the International Center for Transitional Justice, UNICEF and UNESCO. Jeremy Rappleye recently completed his doctoral studies at the University of Oxford, United Kingdom and is now a JSPS Special Research Fellow at the University of Tokyo, Japan. He has written extensively on the themes of transfer and external influence on domestic education policy formation in an era of globalization. His recent work on Nepal includes co-editing a Special Issue of the journal Globalisation, Societies, and Education entitled ‘Education Reform in Nepal: from modernity to conflict’ (2010). He is currently undertaking research for a full-length book on Nepal along similar lines. That volume will be published in early 2012 and is co-authored with Professor Stephen Carney. Cornelius Ssempala is a lecturer at the School of Education, Makerere University, Uganda. He lectures in Sociology and Philosophy of Education. He holds a PhD in education from the United Kingdom. His research area covers education and conflict, teacher professional ethics and child rights (education of minorities). For the last three years he has participated in a collaborative research project on education in post-conflict areas with a focus on Northern Uganda. He has undertaken research in teacher education, especially professional ethics. The collaboration with the partners (Queen’s University Belfast, Northern Ireland, Kigali Institute of Education, Rwanda, and Fourah Bay College, Sierra Leone) has enabled him to gain more insights into education in post-conflict areas. Peter Ssenkusu is a lecturer in the Department of Foundations and Management, School of Education, Makerere University, Uganda. He is currently undertaking a PhD focusing on civil violence and primary school leadership in Northern Uganda (1986-2007). He also has an International Advanced Diploma in child rights, classroom and school management from Lund University, Sweden. His areas of interest are education and civil violence, child rights, and school management. Lindsay Stark, MPH, DrPH is Professor at Columbia University, New York, USA in the Program on Forced Migration and Health. Her work focuses on developing and piloting new methodologies to measure protection concerns and program response. She has helped pioneer the development of instruments such as the Neighborhood Method to assess incidence of human rights violations and a Participatory Ranking Method that has been included as part of both the World Health Organization Assessment Tool Kit and the Inter-agency Child Protection Assessment Resource Kit. Dr Stark has led assessment and evaluation projects in Africa, Asia and the Middle East with a range of UN, government and NGO partners. She is currently Director of Research and Curriculum for the newly established Center on Child Protection in Indonesia – a collaboration between Columbia University, the University of Indonesia and UNICEF. Michael Wessells, PhD, is Professor at Columbia University, New York, USA in the Program on Forced Migration and Health and Professor Emeritus at Randolph-Macon College. He has served as President of the Division of Peace Psychology of the American Psychological Association and of Psychologists for Social Responsibility and as Co-Chair of the InterAction Protection Working Group. He is former Co-Chair of the Inter-Agency Standing Committee (UN-NGO) Task Force on Mental Health and Psychosocial Support in Emergency Settings which developed the first inter-agency, consensus guidelines for the field of mental health and psychosocial support in humanitarian crises. Currently, he is co-focal point on mental health and psychosocial support for the revision of the Sphere humanitarian standards. He has conducted extensive research on the holistic impacts of war and political violence on children, and he is author of Child Soldiers: from violence to protection (Harvard University Press, 2006). He regularly advises UN agencies, governments, and donors on issues of psychosocial support. Throughout Africa and Asia, he helps to develop community-based, culturally grounded programs that assist people affected by armed conflict.